Two Tone: Out shell color: Please refer to all colors for Soft Tulle. Inner shell color: Please refer to all colors for Sequin. 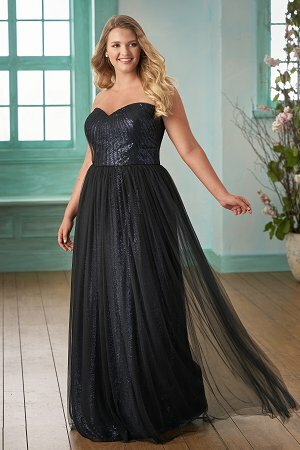 Sweetheart, strapless sequin dress with a layer of soft tulle on top. 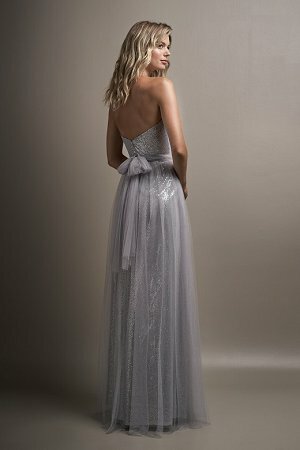 Beautiful dress with ruching on the bodice and a long soft tulle waistband that converts to different styles of straps for versatile looks. This convertible dress is sure to give you all the looks you needs.